62-year old Mahmoud Badavam holds a degree in electronic engineering from Tehran Polytechnic University and a postgraduate degree from the Massachusetts Institute of Technology, U.S.A. The manager of civil engineering projects and a lecturer for the Baha’i Institute for Higher Education, Mr. Badavam is married with one child. 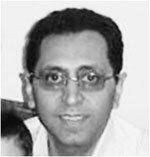 In 1986, Mr. Badavam was incarcerated for a period of three years for being a Baha’i. He has been in prison since his arrest on 22 May 2011, and first appeared in court on Tuesday 27 September 2011. He was released in April 2015 after serving a four-year prison sentence. Nasim Bagheri Tari, 32, a graduate of the Bahá’í Institute for Higher Education (BIHE), has both a bachelor’s and a master’s degree a psychology. During the years following her graduation she did her best to serve BIHE administratively as well as academically. On 22 May 2011 her house, along with 38 residences of other BIHE collaborators and students, was raided. Having refused to sign an undertaking to stop serving BIHE, Nasim was taken to court in the autumn of 2013. Her four-year prison sentence was confirmed in early 2014 and she was abruptly taken to prison on 27 April 2014. Negin Ghedamian, 34, a graduate of the BIHE, has both a bachelor’s and a master’s degree of Persian Literature and Iranian Culture. During the years following her graduation, she served BIHE as a literature and writing skills instructor, and worked as a freelance copy editor. On 22 May 2011, her house was raided and a few days later she was interrogated. 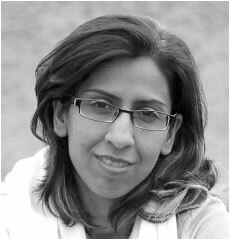 Then, on March 10, 2013, she was summoned to Evin prison’s public prosecutor’s office. Having refused to sign an undertaking to stop serving BIHE, Negin was arrested on the spot. The judge ordered her to pay bail for release pending their trials. On June 8, 2014, the judge of Branch 28 of the Revolutionary Court sentenced her to five years in prison though she was absent. She appealed, but in Feb 9, 2015, before the court of appeal had issued its verdict, Negin was arrested in her workplace and taken to Evin Prison. Her lawyer, however, managed to secure her release on bail pending a decision by the appeals court. In 2016, her sentence was approved. On 16 December 2017, she was arrested in Tabriz airport and taken to Tehran to start serving her five-year sentence in Evin prison from 18 December 2017. Faran Hesami, 41, worked as a psychology instructor with BIHE and has also been involved in private practice. After completing their undergraduate education at BIHE, she and her husband – Kamran Rahimian – graduated in December 2003 with Master’s degrees in Educational Counseling from the University of Ottawa, Canada. Mrs. Hesami was summoned to court and arrested along with her husband on 13 September 2011. She was told that her Master’s degree is illegal and therefore her work as a counselor is also illegal. She was sentenced to four-years imprisonment. She was released in April 2016 at the conclusion of her sentence. Nooshin Khadem, 52, gained a General Studies degree – the only major available via correspondence course from Indiana University, U.S.A. She also later received a postgraduate Masters of Business Administration from Carleton University, Canada. Ms. Khadem worked in an administrative capacity with BIHE. She was arrested on 22 May 2011 and first appeared in court on Tuesday 27 September 2011. She was released in April 2015 after serving a four year prison sentence. Payman Koushk-Baghi, 38, was born in the city of Gorgan in Iran. He graduated with a bachelor’s degree in computer engineering from the Bahá’í Institute for Higher Education (BIHE) in 2004 and has served BIHE since 2008. On 22 May 2011, government agents raided his home, but he was not arrested. The intent was only to search his home. A few days later, he was summoned to the neighborhood investigation office for questioning. The issue remained suspended until 13 March 2013, when his charges were explained to him at Evin’s Shahíd Muqaddas public prosecutor’s office. He was then released on bail. Finally, in May 2015, he was sentenced to five years of imprisonment under ta‘zír law in Branch 28 of the Islamic Revolutionary Court. On 28 February 2016, Payman was arrested whilst on a visit to his wife, Azita Rafizadeh, who was imprisoned in is in Evin in October 2015. Payman and Azita have a five year old son. 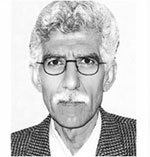 Vahid Mahmoudi, 52, studied sociology at BIHE and had been working as a director of the Institute. He is married with two children. 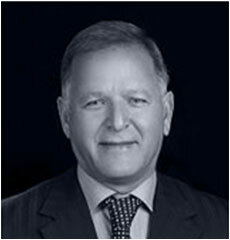 In 1982, at the age of 19, he was arrested and served six years in prison for being a Baha’i. Sentenced in October 2011 to five years in prison, he was released on 8 January 2012 after his sentence was reportedly suspended. 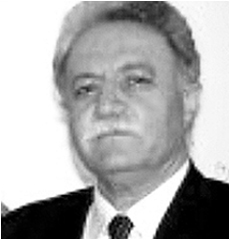 Foad Moghaddam, 66, has a Medical degree in general medicine from the Medical school of Tabriz. He practiced medicine for 33 years and has been involved with BIHE for 17 years. 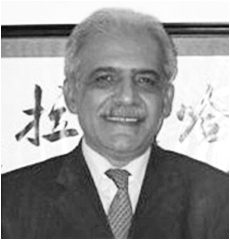 Dr. Moghaddam was arrested on 22 May 2011. On 25 June 2011 he was released on bail. On 16 June 2012, he was summoned to court and was sentenced to five years’ imprisonment. He is now serving his sentence. Dr. Moghaddam suffers heart problems. He is married and has three children. He was released in November 2017. 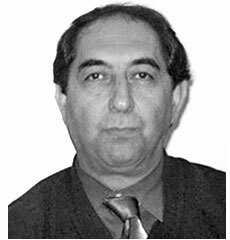 Hassan Momtaz, 56, worked as a faculty member in BIHE department of Iranian Culture and Persian Literature. 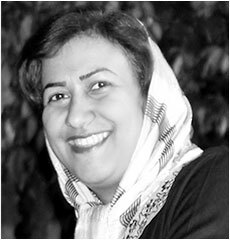 Hassan’s home in Tehran was among several BIHE teachers’ homes to be raided and searched by security agents on May 22 and May 23 in 2011. Then on March 10, 2013, he was summoned to Evin prison’s public prosecutor’s office for his first interrogation. He was told that to secure his freedom, he could sign a pledge to stop working with the BIHE. Having refused to sign, the judge ordered him to pay bail for release pending their trials. On February 25, 2014, of the judge of Branch 28 of the Revolutionary Court sentenced him to five years in prison. 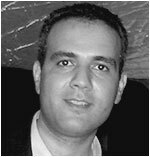 Three years later, on 15 November 2017, he was arrested at home in Shiraz and taken to Adelabad Prison for serving his 5-year imprisonment. Kamran Mortezaie, 63, was sentenced to serve a five year prison sentence. He holds a degree in electronic engineering from Áryámihr University – now the Sharif University of Technology – in Iran, as well as a postgraduate degree from George Washington University in the U.S.A. Having been denied the right to practice his profession for being a Baha’i, he worked in the building industry. He was a director of BIHE and a lecturer in computing. He was among 36 members of BIHE’s faculty and staff who were arrested during a series of raids carried out in 1998 by the Iranian authorities. He is the father of one child. He was released in April 2016 after serving a five-year sentence. Amanollah Mostaghim, 67, completed his early education in Shiraz and went to the United States for higher education; he holds a BSc degree in Civil engineering from Texas Tech University. 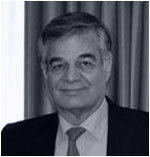 He returned to Iran in 1980, and worked in the area of civil engineering in several provinces, before eventually settling in Shiraz. He was arrested on 22 May 2011 and released on bail after 38 days. On 16 June 2012, he was summoned to court and was sentenced to five years’ imprisonment. Arrested in May 2013, he carried out his sentence until November 2015, when he was released due to a medical condition. He is married with three children. 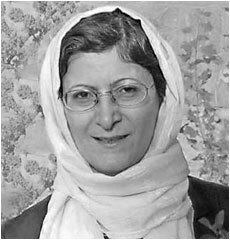 Fattaneh Nabilzadeh, 55, served BIHE as a volunteer proctor and host during the exam periods. She was arrested on 13 August 2013 at her home in the city of Mashhad while she was administering a final exam to her son and another Baha’i student on behalf of BIHE. After the arrest, security agents took Mrs. Nabilzadeh to Mashhad’s Intelligence Bureau and then to the Vakilabad Prison. After two months, she was released on bail. 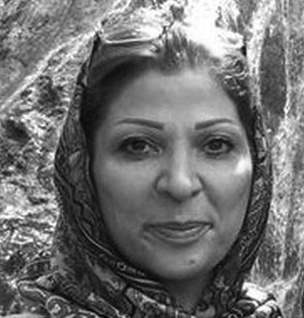 Four years later, in 2017, Mrs. Nabilzadeh was tried at Branch Three of Mashhad’s Revolutionary Court. On 28 January 2018, the judge sentenced Mrs. Nabilzadeh to one year in prison due to “propaganda against the regime.” She appealed the sentence, but the appeals court upheld the lower court’s verdict and, as a result, on 16 July 2018, she was summoned to start serving her one-year sentence in the city’s Central Prison in Vakilabad. Shahin Negari, 48, is a BIHE graduate in pharmaceutical science. He also received his M.SC in Microbiology and Immunology from the University of Ottawa, Canada. Until his arrest, Mr. Negari had worked in Tehran as a technical advisor, while being involved with the operation of BIHE. He was arrested on 22 May 2011 and was released on bail after a month. He was sentenced to four years of imprisonment. On 13 January 2013, Mr. Negari was taken into custody without prior notification. He is married and has two children. He was released in November 2016 at the conclusion of his four-year sentence. 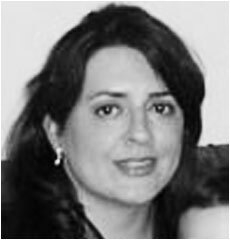 Azita Rafizadeh, 35, completed a bachelor’s degree in computer engineering at the Bahá’í Institute for Higher Education (BIHE) in 2003. In 2005, she received her master’s degree in computer engineering at the University of Pune in India. Since 2003, she has served BIHE in both administrative and academic capacities. On 22 May 2011 her house, along with 38 residences of other BIHE collaborators and students, was raided. Having refused to sign an undertaking to stop serving BIHE, Azita was summoned by authorities for questioning the following day and interrogated. In the subsequent years, she has been harassed and summoned on a number of occasions and ultimately convicted in February 2015. 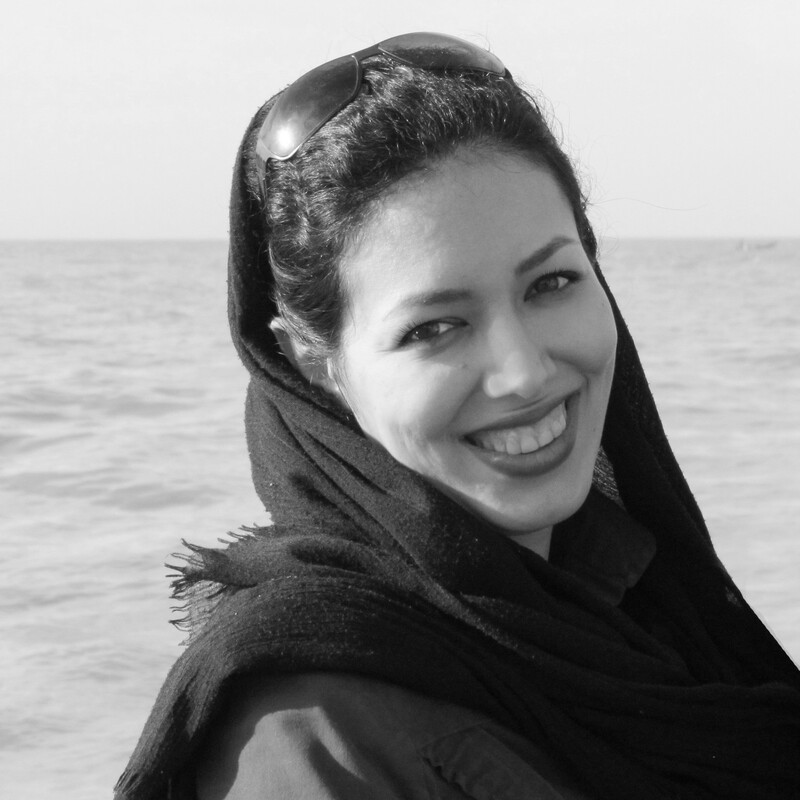 After an appeal process, she was summoned to Evin prison on 25 October 2015 to begin a four-year sentence. Azita is married to Peyman Koushk-Baghi, who is appealing a five-year sentence. The couple have a five year old son. Along with his wife Faran Hesami, Kamran Rahimian, 46, worked as a psychology instructor with BIHE. After completing his undergraduate education at BIHE, he graduated with Master’s degrees in Educational Counseling from the University of Ottawa, Canada in December 2003. 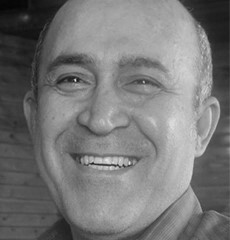 He was summoned to court with his wife and two other Baha’is on 13 September 2011. The other two were released on bail soon afterwards. Mr. Rahimian was sentenced to four-years imprisonment and served his full sentence at Gohardasht prison. He was released on 17 August 2015. 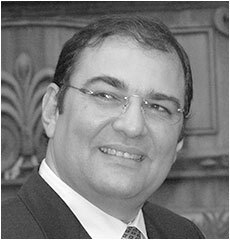 Kayvan Rahimian, 52, is a BIHE graduate in psychology and had been involved in private practice as a counselor. He also worked as a psychology instructor with BIHE. He was arrested on 14 September 2011 and was released on bail on 21 September 2011. Mr. Rahimian was told that his Master’s degree is illegal and therefore his work as a counselor is also illegal. 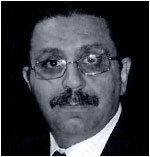 On 30 September 2012, Mr. Rahimian was summoned to begin his five years’ imprisonment sentence. He is the father of a 13-year old daughter and has recently lost his wife, Fereshteh Sobhani, to cancer. He was released on 25 August 2017 after serving a five-year prison sentence. 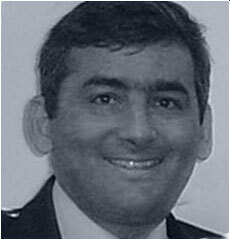 Mr. Azízu’lláh Samandarí, 43, has a diploma in mathematics and physics, and received his bachelor’s degree in management from the Bahá’í Institute for Higher Education (BIHE). 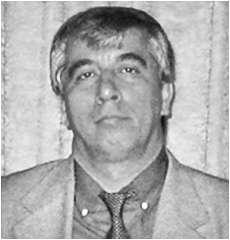 He is an expert on computer networking and, for five years, was a member of a national institute for English language studies while assisting with BIHE’s online studies and providing technical support to BIHE’s website. 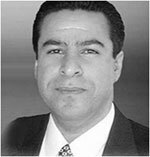 He was originally arrested on 14 January 2009 and then released before being subsequently arrested and tried in November/December 2012 for “activities against national security through membership in Bahá’í administration”. He was sentenced to five years’ imprisonment. 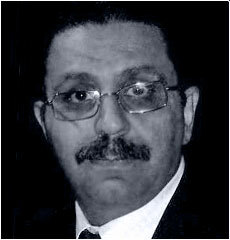 The order was executed on 7 July 2012, and he was taken to Evin Prison and later transferred to the Rajaeishahr Prison. During this period he was not granted any permission for leave. He was released on 14 April 2017 after serving a five-year prison sentence. Farhad Sedghi, 68, has a degree in accountancy and financial management. He was expelled from his postgraduate mechanical engineering studies for being a Baha’i. A lecturer with BIHE, he also worked as an accountant and financial adviser. He is married with three children. He was arrested on 22 May 2011 and first appeared in court on Tuesday 20 September. He was released in April 2015 after serving a four-year prison sentence. Arrested on 14 June 2011, Riaz Sobhani holds a post-graduate diploma certificate in building industry. He worked for BIHE as a building industry consultant and manager. Married with three children, he appeared in court on 1 October 2011. He was given a four-year jail term which came to an end on 25 May 2015. Ramin Zibaie, 48, has a postgraduate degree in psychology from BIHE where he worked as a director and a lecturer in psychology. He is also an educational counselor. Married with two children, Mr. Zibaie reportedly first appeared in court on 1 October 2011. He was released in April 2015 after serving a four year prison sentence.